Absolutely Shore. This is a very pale seafoam green. It's a white or very pale grey base with a balanced amount of blue and green. Soft looking, calming. Not really the greatest color on my skintone, but in the bottle I really enjoy it. This one was pretty streaky, though. I used four coats here to be sure it was completely even. Brazilliant. The sunlight picture shows the hazy pink shimmer a little better, can you tell it's in there? This is such a beautiful orange. It's bright (but not neon) and has such a pretty coral-pink shimmer in it. It's on the verge of being a duochrome because you notice the pink flash or the orange base at different angles. Love this. Meet Me At Sunset. Another orange! I'm an orange fan so I'm quite happy about this. This is a pure creme orange, leaning toward jelly finish more than just plain creme. 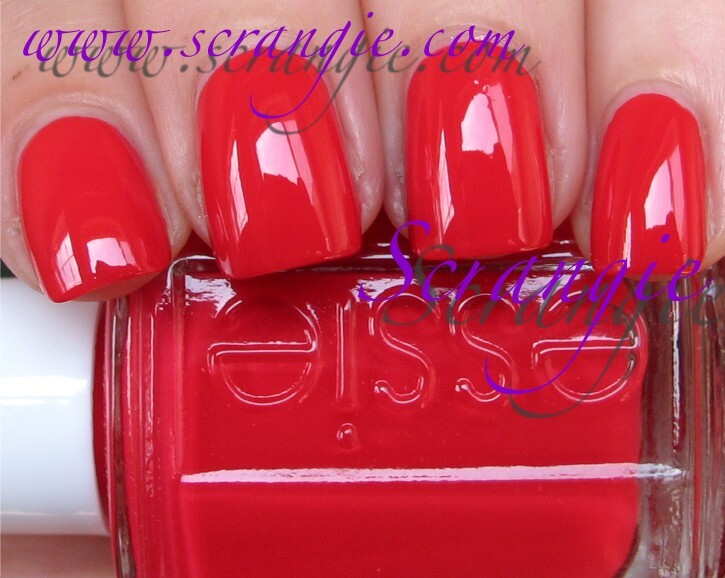 It's darker and more saturated compared to Brazilliant and has a touch of coral red to it. This looks so colorful and smooth and shiny on the nails. Smooth Sailing. 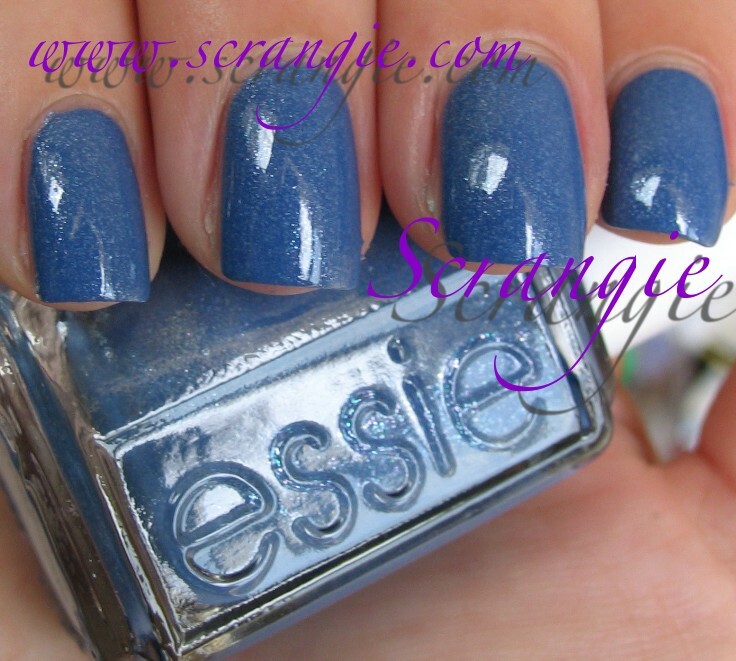 This is a pale periwinkle blue with chunky silver shimmer. It dries darker than bottle color, but it's still a little paler in real life than my pictures show. Another soothing, calming color. It makes me think of sailboats and seashells... But more specifically, sailboats and seashells on blue bathroom wallpaper. Odd association, I know, but the image is so strong in my mind, I had to mention it! Too Too Hot. A really interesting shade of coral. It has strong pink and red tones, and it looks to me like a light red in the bottle. 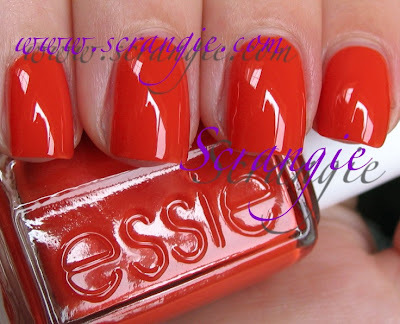 Once it's on my nails, it looks coral. It's bright and soft at the same time, very colorful and fresh looking but not too flashy. The formula on these was great with the exception of Absolutely Shore, which was streaky. I did three coats of each color (except Absolutely Shore, that is four coats). The texture is on the thick side compared to recent Essie shades, but that makes it a little easier to apply. The brushes are tiny but very even. I had no issues other than the streakiness of Absolutely Shore and the dry time is excellent on all. Overall, I like this collection. It's neither edgy nor is it terribly exciting, but the colors are still really nice. I really like all of them. Absolutely Shore is a nice sea foam color that doesn't look like every other pastel green in my collection. The oranges are fantastic, the periwinkle shade of Smooth Sailing makes me feel calm and Super Bossa Nova is eye-catching. No pale pinks, no infinitely dupe-able neons, nothing ugly at all. The collection has a beachy feel that makes it seem summery without having to be super bright. I think I will need to pick up Brazilliant and Too Too Hot. 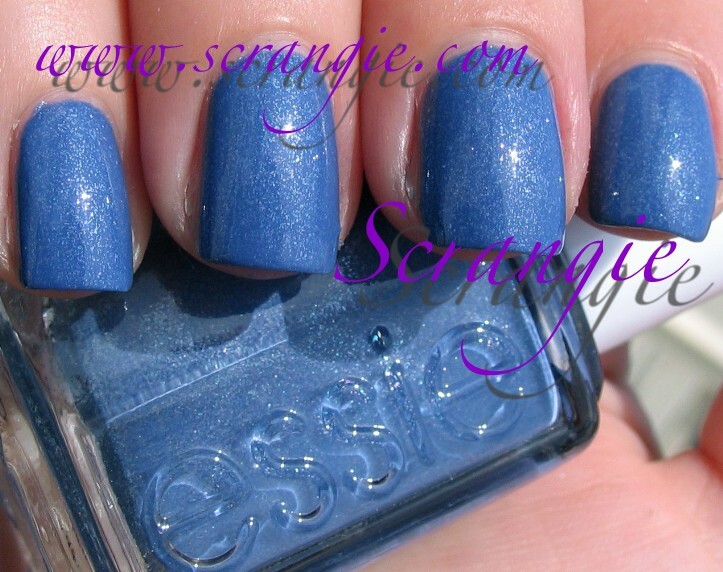 I would pick up the blue too, but it looks so close to Coat Azure. Might need to compare them side by side. Funny you would post this now, I'm on my way to Ulta to buy the mini collection. I saw this at Ulta yesterday, purchased Fair Game instead, I've been thinking about it all night. I don't own any orange polish and I thought Brazilliant would be a great start. Great swatches! I just had my toes done in Braziliant! It's absolutely gorgeous and such a good summer color. Great post, Scrangie! Thank you!! This collection.....I could have all of them. Gah! I need a money tree! love absolutely shore and too too hot! 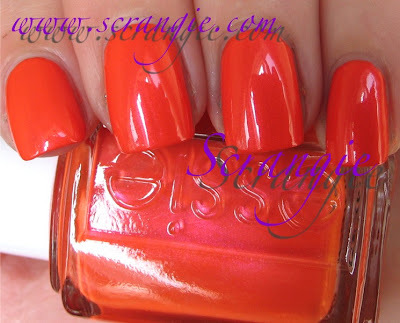 Love Super Bossa Nova, but do you think it's a dupe for China Glaza Ahoy? Thank you for this fabulous blog - I jsut love it! Ooh, love them all! Great swatches. I have already bought Super Bossa Nova. Waiting for it to arrive in the mail :) Woho! Lovely swatches as always! Thanks for posting these. 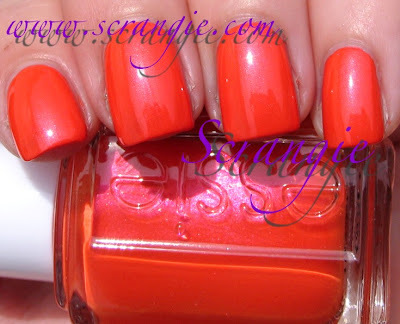 I am loving oranges and corals...and the pink flash in Brazilliant is lovely! i am so in love with smooth sailing. i did a blog post on it last week because i just couldn't stay away! Super Bossa Nova is amaaaaaazing. I may need to go hunt this collection down! I totally love blues, they are my most favorite nail polishes and my favorite color as well. But the shimmer in "smooth sailing" totally ruins it for me. I don't know why, I find it really annoying and disturbing and downright ugly. The basecolor is such a wonderful, beautiful blue (I LOVE my lapis of luxury and shelter island), but the shimmer totally wrecks it for me. Pretty colours, but I'll be passing on these since I have ones that are similar enough. Smooth Sailing reminds me of Coat Azure.. I think I would be skipping this collection, none of these interest me. =( Thanks for the swatches Scrangie! I bought Brazilliant right off - thought that flash of pink in it and it not being neon orange - well I had nothing like it and perfect shade for summer toes. 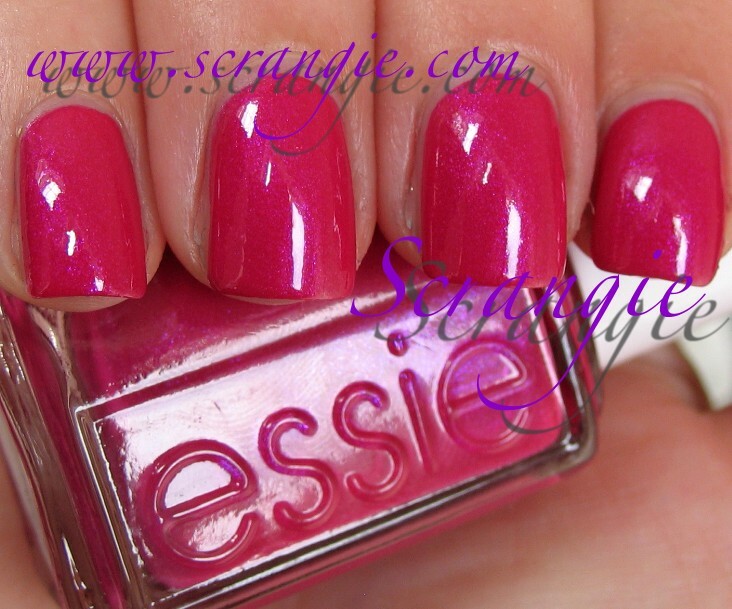 I have yet to find Bosa Nova which would be my first grab on this collection because I am the go to FUCHSIA polish gal - fuchsia of ever variety, I adore. Hopefully I can still find it somewhere - might have to look on 2nd market. Most of the displays I have seen of this collection were bare ASAP. The general public is really taking to having Essie at drugstores and nabbing it up. Never more than maybe 3 bottles of each shade on those drugstore stand displays - not enough to go around. Am absolutely loving Braziliant and Too Too Hot, but the others, eh. Question - How does Too Too Hot compare to OPI Big Hair..Big Nails from the Texas collection? I won't bother with TTO if they are very similar.